I was picking up some things at my local Lowes store this afternoon when I had an interesting encounter with an elderly couple. 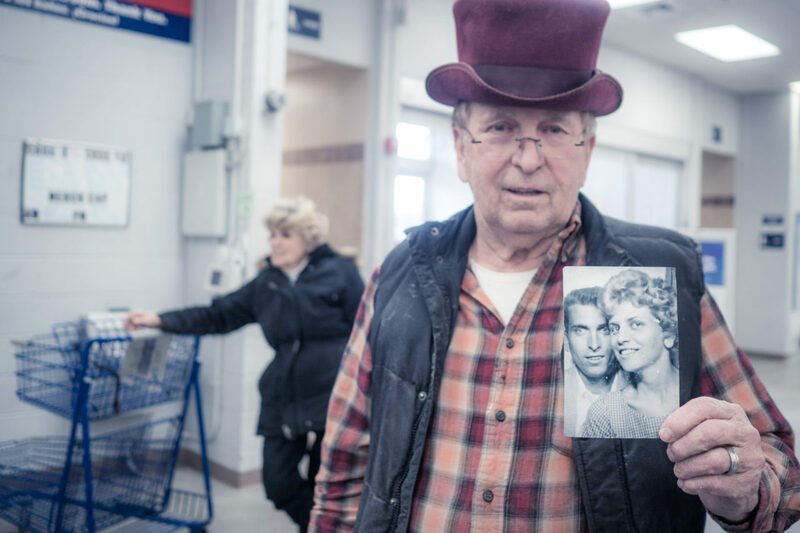 The gentleman in the felt maroon top hat was in the checkout line in front of me showing the cashier an old photograph. It turns out it was a photograph of him and his wife taken over 60 years ago when they were 18 years old. It was taken in a photo booth at Canobe Lake Park, a local amusement park. They had the tiny little print scanned and enlarged, then gave copies to their grandchildren. He was proud. He happily posed for this photo. And he was wearing a felt maroon top hat. How cool is that?